Microsoft’s leading database is an essential tool, with in-cloud and on-premises versions providing incredible storage and analytic tools. It’s additionally turned into an essential application for data scientists, giving a structure to building and testing machine learning models. There is more in SQL Server, and the new release version can indicate where Microsoft thinks your data needs will go over the next few years. 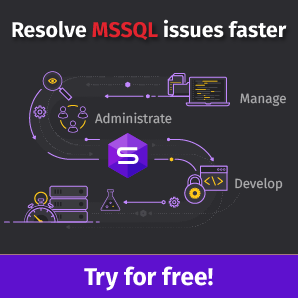 Like all the previous versions, the Microsoft SQL Server 2019 latest version is also jam-packed with new features and capabilities. It will help organizations evaluate and test relational data with multiple integrations of various software. By creating a simplified view of data, users can have a comprehensive view of information. In the previous articles, “Introduction to Docker and Docker Toolbox” and “Docker and SQL Server on Linux“, we discussed a lot about SQL Server Docker containers. As you should know by now, instantiating SQL images is very simple and pretty straightforward thing with the Docker containers. The article gives some knowledge about getting started and utilizing Docker containers. The focus is all about understanding Docker and its basics. Once you start grasping the basics and learn to use them, you will easily understand how to use Docker with other products. SQL Server 2017 is the biggest release and most important releases in the Microsoft product history simply because of the freedom that it gives to install the product anywhere. The advent of the Docker containers and growing emphasis on open source solutions opened the door to greater technological innovation and advancement.